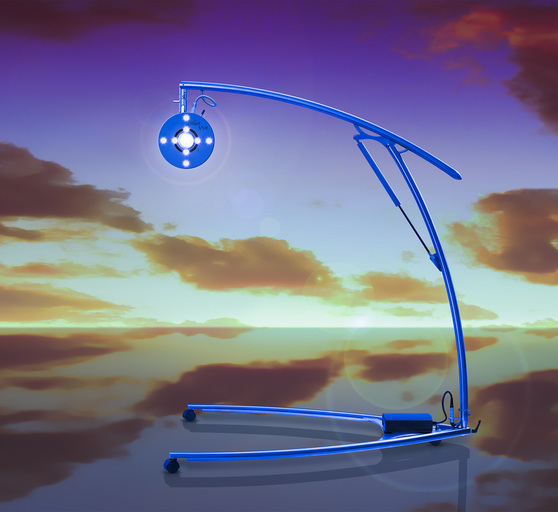 The Lucid Light Meditation Appliance (Lucia N3) is a kinetic light device used to activate all four quadrants of the brain. The Lucid Light activates all of the brain wave frequencies, but particularly impacts Alpha and Theta waves. It stimulates the pineal gland via light signals to the optic nerve. This creates temporary EEG brain wave patterns that would typically only appear after many years of meditation practice--allowing a user to experience a sense of deep relaxation, creativity, focus, intuition, connection, and wholeness. How does it work? White light passes through the eyelids, enters the retina. This stimulation of the optic nerve activates the pineal gland; contributing to an amazing visual experience that may include vivid colors, sacred geometry, and synesthesia. Synesthesia is the experience of seeing music. A client may choose from a number of musical selections or bring their own. Faced with the artistry of one's own consciousness, those who experience the "Lucid Light" cannot help but re-evaluate their current perceptions and perspectives in the most beautiful ways. Whether you wish to step out of the fight or flight paradigm of our daily world, to augment a meditation practice, to experience your mind's inner light show, to find a more connected space of peace within; you will likely find something you appreciate about our service. The experience is completely unique every session--even if your frequency and intensity settings and music are unchanged.